We are delighted with our beautiful handcrafted headboards. 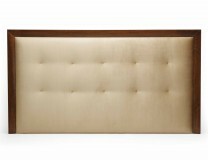 All our luxury headboards are made to order and are available in 6 standard sizes as well as bespoke. Handmade at our workshops in Lancashire with the tailored finish that is our trademark.